What better way to escape this Polar Vortex than to start planning a warm cruise with Norwegian Cruise Lines! 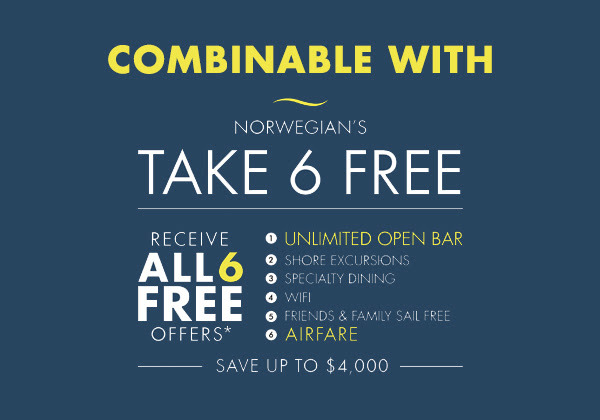 Norwegian is pleased to announce the Take 6 Free Promotion. Get up to 6 perks and $300 On Board Credit!